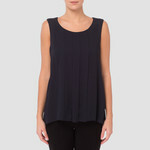 This timeless wearable top is great for any occasion. 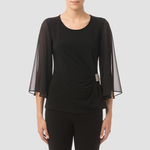 It features a fashion forward cowl neck design and a layered effect. Is in a soft stretch jersey fabric and has a full length sleeve.